I had a difficult time in March… but spring has come, bringing hope to everyone. 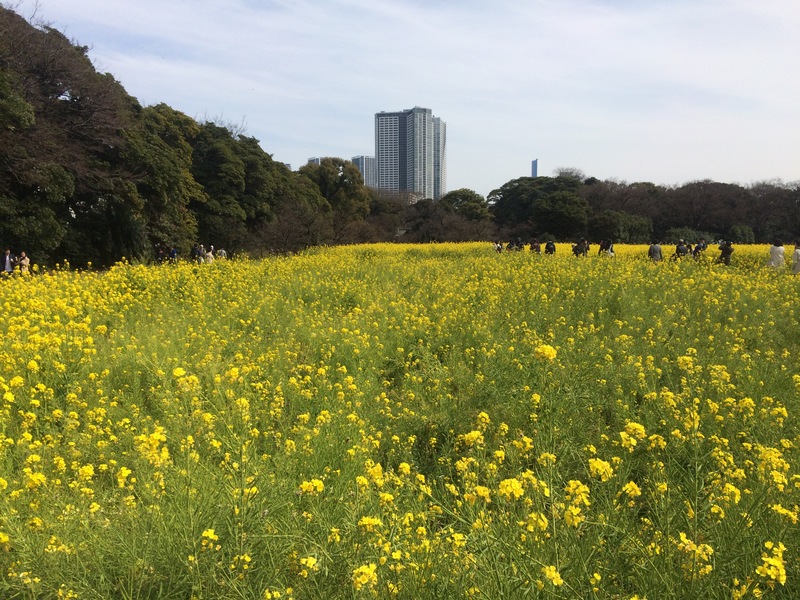 Sakura is great, but I love canola flowers that tell us coming of early spring. Yellow gives me strong power to live. 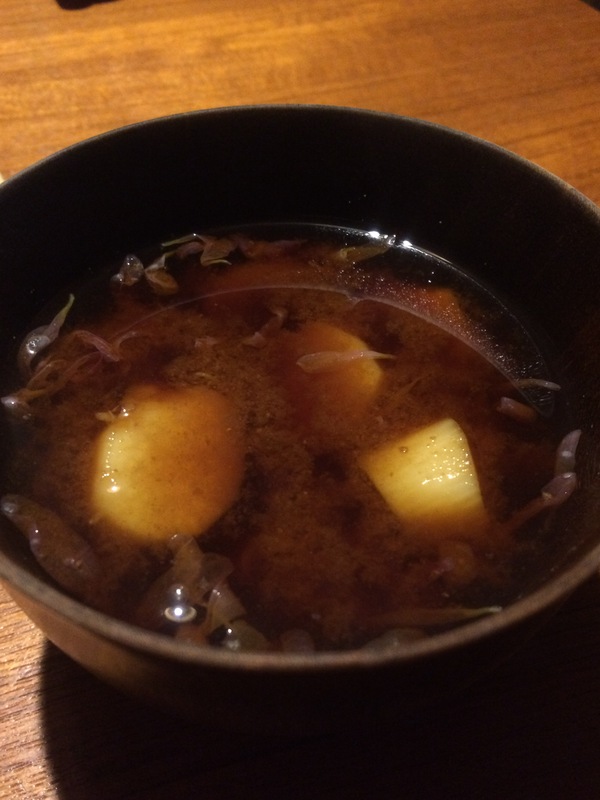 I found canola flowers in a supermarket, so made miso soup with lotus root. Mix minced meat, chopped Chinese chive, salt, pepper, sake, and soy sauce to make meat balls. 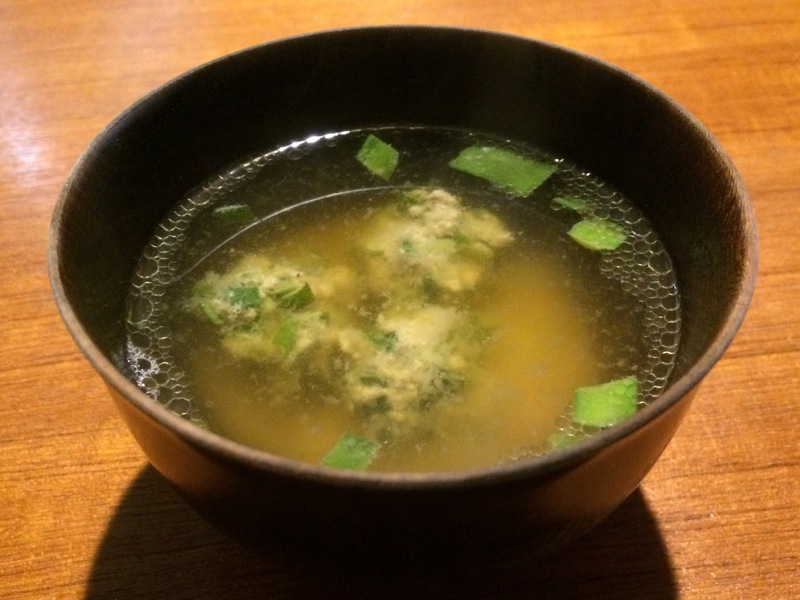 Cook meat balls in boiled broth, add miso paste and seven in a ball! If you go and order a miso-soup combo in local restrants in Okinawa (southern islands in Japan), you will be surprised to see how big that miso soup is! 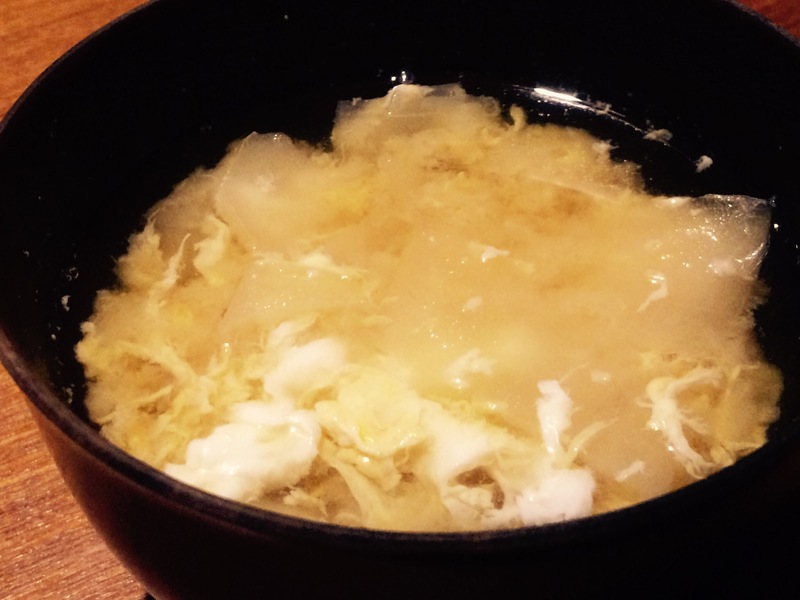 Okinawan-style miso soup is filling and nutritious, using lots of ingredients. There are not strict rules – the important thing is to put lots of veggies. I used bean sprouts, cabbage, carrots, onions, tofu, eggs, garlic and luncheon meat. Drain tofu (momen-type) to make its texchure like shima-dofu (okinawan-tofu) and cut (If you use shima-dofu, skip this process). Cut veggies and luncheon meat, then stir-fry with sesami oil in a pot. Pour water or broth and cook until soft. Add tofu and a spoonful of grated garlic. Add miso paste as you like. 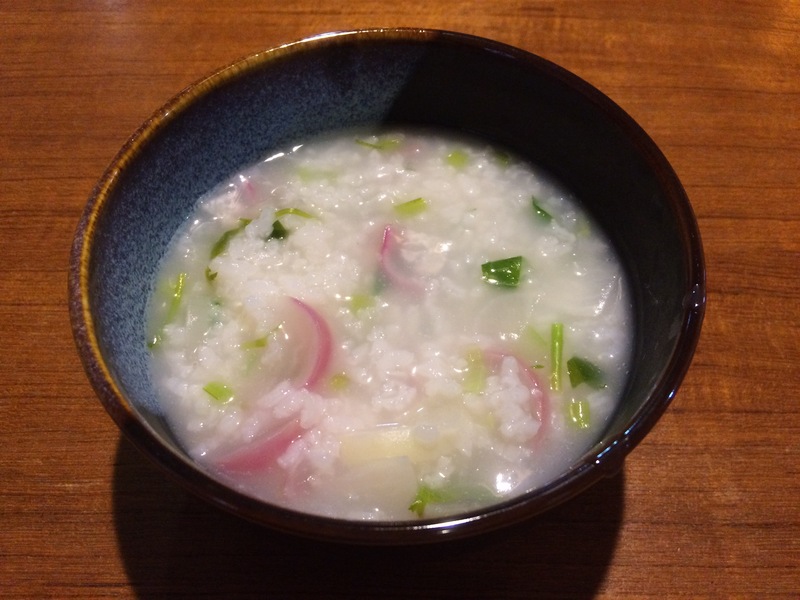 Do you know “kanpyo”? 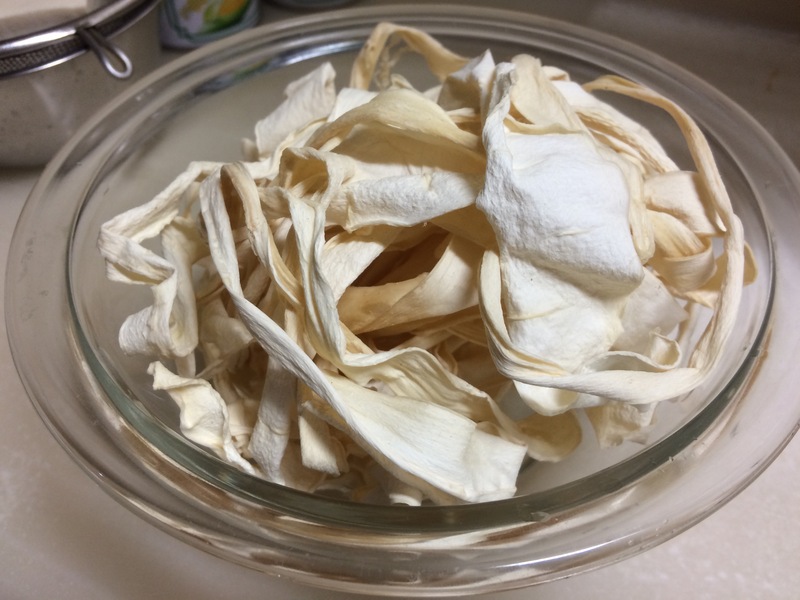 It’s dried gourd shavings – brown, soft, sweet things often found in Japanese sushi rolls. 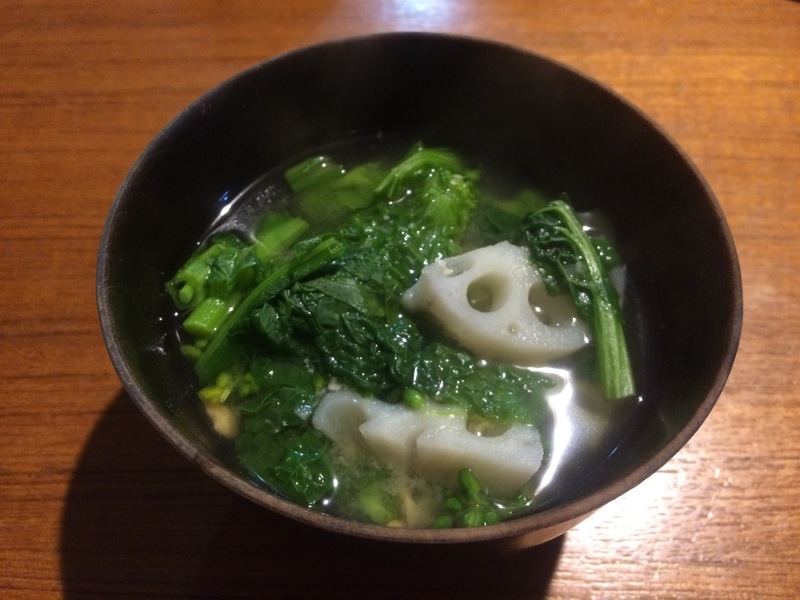 Last month, I got uncooked kanpyo for the first time in my life! 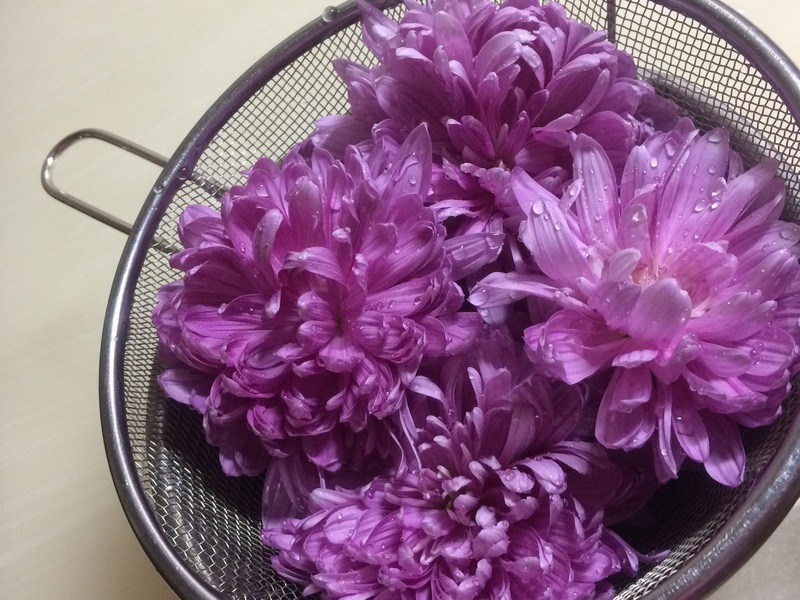 It was produced by my relative who live in Tochigi – this area is famous for kanpyo production. 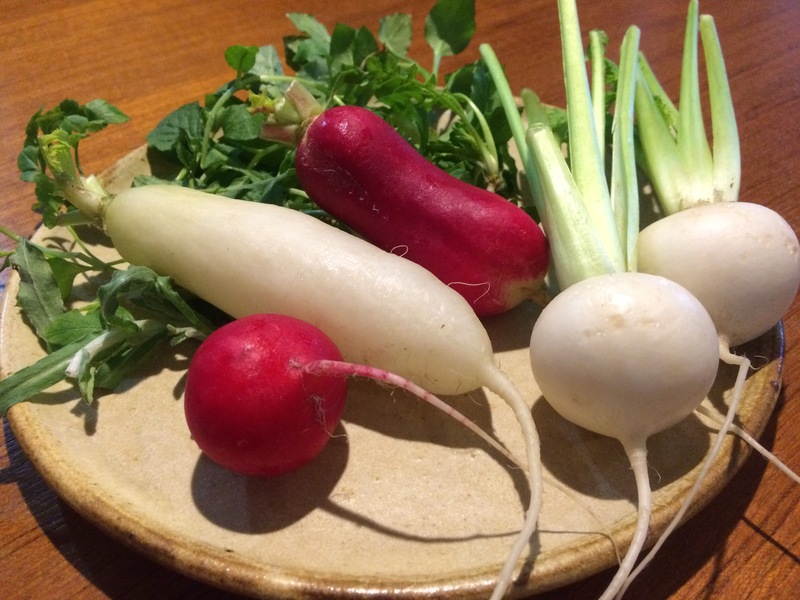 Kanpyo is a healthy food, abandunt in fiber, calcium and potassium. Like me, however, most of the average Japanese are not really familiar to uncooked kanpyo. 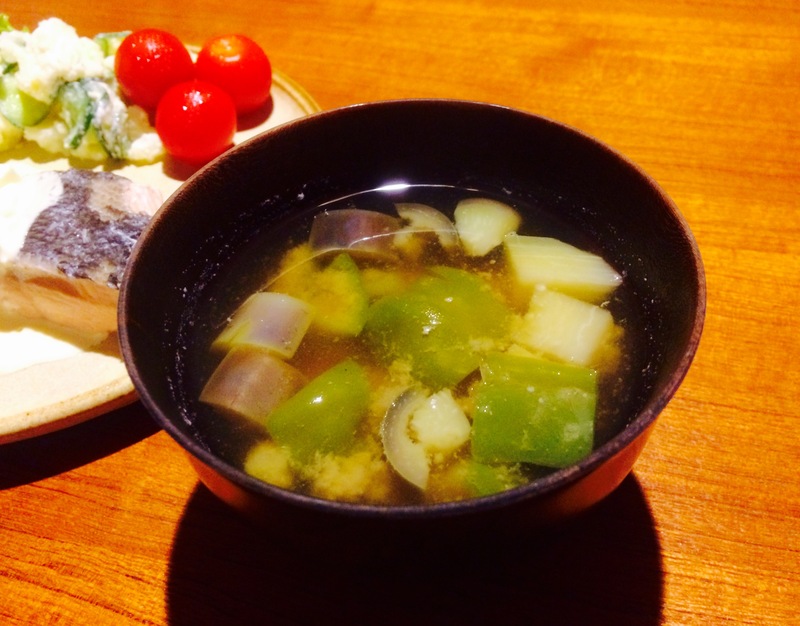 When I’m not sure how to cook, I always try to put it in miso soup – Miso never lets me down! One thing you should keep in mind cooking dried kanpyo is to scrab with salt when washing. 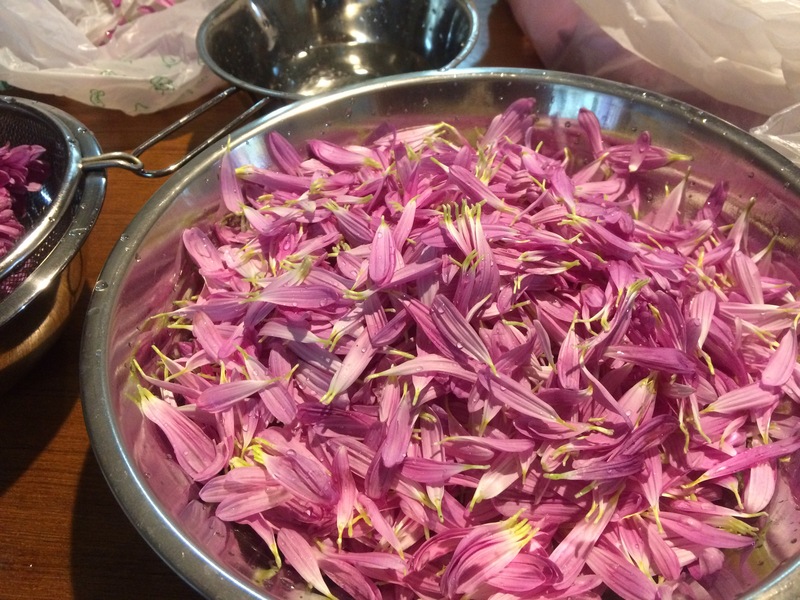 Then boil about 15 minutes, cut it to the proper length. 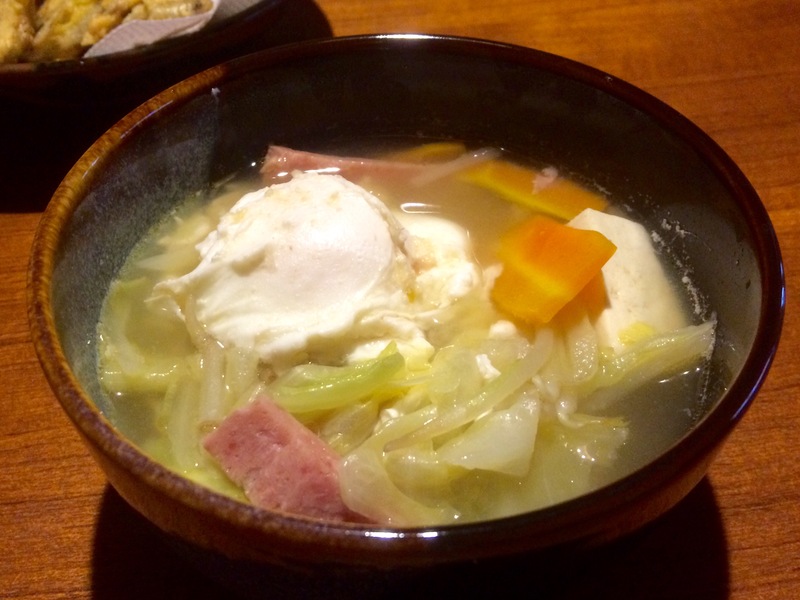 This time, I also add beaten eggs in it, which went quite well with kanpyo.